As manager of a Sotheby’s International Realty office in Colorado, James Simpson saw a change in the role of agents firsthand. The rise of lockboxes allowed listing agents to forgo showings, and the introduction of e-signatures eliminated a lot of legwork. He also believed that a highly skilled transaction coordinator could process 400 deals per year. That is why he started SQFTx (pronounced “square foot”), a tech platform that gives partner brokerages a ready-made, limited-service tool to offer their sellers. It launched in May and has closed 12 deals. Denver-based SQFTx is licensed as a brokerage in Colorado and Texas. It also feeds seller leads to partner brokerages on a geographic-exclusive basis, as it does with Dallas brokerage REConcierges and seven other partner firms. 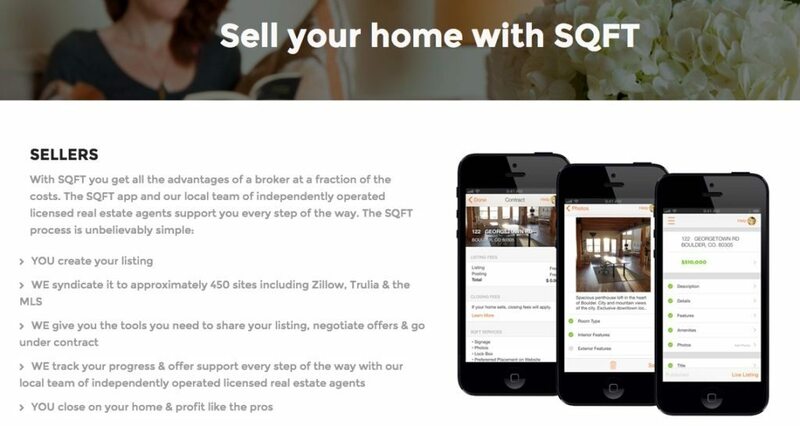 A homeowner downloads the SQFTx mobile app and creates a listing, which is verified by a licensed broker and uploaded to the MLS, Zillow and ListHub, and hundreds of other sites. Buyers can download the app to schedule a showing. Buyers can either make offers directly through the app or through their agents. Sellers can counter, reject or accept offers made through the app. Sellers can counter, reject or accept offers made through the SQFTx app. A contract is prepared by SQFTx and delivered for signatures. A transaction coordinator manages all post-contract deadlines and contingencies and shepherds the deal to closing. Sellers pay a 1 percent commission on the list side. SQFTx and its partner broker split the fee. Where SQFTx doesn’t have a partner, it pockets the full 1 percent. SQFTx offers its tools in 18 markets across the U.S., and it plans to expand to 100 markets by the end of this year. Redefy targets sellers with a discount broker model.